There are a couple of ways to address mouth breathing. Either remove the cause of mouth breathing or deal with the mouth breathing itself. We will look at some of the causes of mouth breathing. The main issue is anything that causes blockage of the breathing through the nasal passages. You are forced to breathe through the mouth. The most common cause of nasal and sinus congestion is from colds and flu’s. Obviously treating the infection is important. Decongestant can be helpful to reduce build up in the nasal and sinus areas allowing breathing to occur. This is important as the ability to breathe well allows a better nights sleep. Various allergies and hay fever can cause inflammation of the sinuses and nasal areas. This can be difficult to treat as some people do not always know the irritant of these reactions. 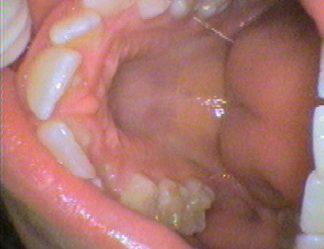 Also enlarged adenoids can decrease breathing leading to mouth breathing and even snoring. Their removal may be warranted. Blockages in the sinus and nasal passages can also leads to bad breath. As always seek medical advice. Sometimes injuries to the nasal/sinus anatomy or genetic defects such a cleft palate, may lead to permanent mouth breathing. Operations may correct this situation. Anatomical small nasal passages, as a result of a high palatal roof can encourage mouth breathing. In this situation, orthodontic correction with appliances, can change the anatomy of the palate of the upper jaw, and increase the size nasal passages. 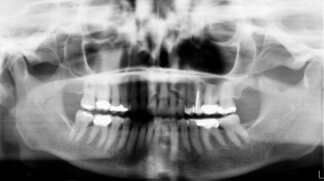 This is achieved by expanding the width of the upper jaw, and therefore the nasal passages. This may also reduce crowding of the teeth and improve the alignment between the upper and lower jaws. Otherwise, we may have to deal with the effects mouth breathing.